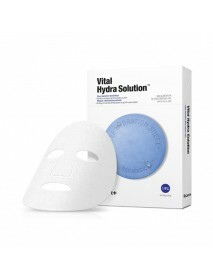 Dermask Water Jet Vital Hydra Solution＇Product DescriptionA cellulose sheet mask that deeply hydrates, replenishes,and protects skin's own moisture.＇How to use1. Cleanse and apply toner.2. Peel off, discard the film liner, and apply mask adjusting ar..
Nourishing Beauty Balm＇Product DescriptionA beauty balm that supports antiaging while hiding uneven skintone and blemishes.＇How to useApply generously and as needed.＇Capacity - 40ml (SPF25 PA++)..
Silver Label Plus Rejuvenating Beauty Balm＇Product Description1. Making sensitive skin look radiant and flawless.2. 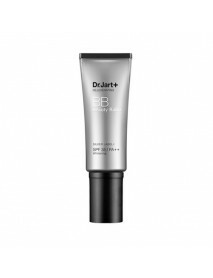 Creating skin moisture & protection barrier against pollution.3. 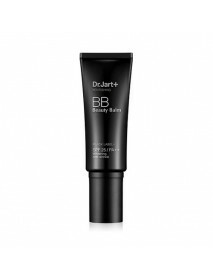 By covering even tiny and fine blemishes, it makes skin look clear an.. 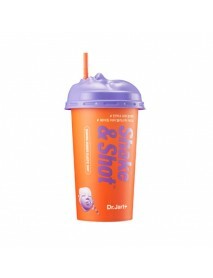 The Mask Shaking Rubber Shot (Elastic Shot)＇Product DescriptionCocktail shake mask serves as a soothing modeling pack by easily shacking together double trans Booster and a soothing liquid Ampoule.Contains Aloe extract and botanical complex to provid.. The Mask Shaking Rubber Shot (Luminous Shot)＇Product DescriptionCocktail shake mask serves as a soothing modeling pack by easily shacking together double trans Booster and a soothing liquid Ampoule.Contains Aloe extract and botanical complex to provi.. The Mask Shaking Rubber Shot (Soothing Shot)＇Product DescriptionCocktail shake mask serves as a soothing modeling pack by easily shacking together double trans Booster and a soothing liquid Ampoule.Contains Aloe extract and botanical complex to provi..
Monster Cleansing Water Duo Special Set＇Product Description[Monster Micellar Cleansing Water]The no-wash cleansing water gently yet effectively cleanses away eye & face makeup. [Monster Oil In Cleansing Water]The deansing water is formulated with yell..
Aloe 99% Soothing Gel＇Product DescriptionContaining jeju aloe vera leaf 99%Non-sticky & moisturizingCooling & Soothing effect＇How to useSpread it on the sensitive & dry face & body frequently. Then make it absorbed.＇Capacity - 250ml..
Baby Silky Foot One Shot Peeling＇Product DescriptionClean the dead skin cells on your heel at once.＇How to use1. Wear the socks on both feet.2. Put each liquid of the pouch into each socks.3. Take off the socks after one and half hours.4. Wash feet g..
Power 10 Formula CO Effector＇Product DescriptionAn elasticity boosting serum perfect for mature skin.Working effectively to replenish diminished collagen levels, the It's Skin Power 10 Formula CO Effector ensures skin remains firmand radiant for long..